This Freeport has been “unequivocally” chosen as the “Premier Convention Capital of Central Luzon,” earning its spot in the Philippine Department of Tourism’s nationwide campaign to promote the country’s natural tourism attractions and cultural assets. The choice was made following an assessment of all the convention facilities in Central Luzon, DoT Region III Director Ronaldo P. Tiotuico said. 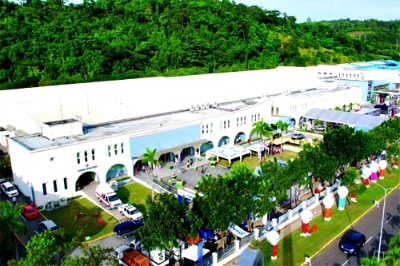 “We are looking at the Subic Bay Exhibition & Convention Center (SBECC) as the most logical venue (for conventions, exhibitions, meetings and incentive travels) in consideration of its significantly spacious convention halls and meeting rooms, and a wide array of generally acceptable standard facilities and amenities suitable for big-ticket events like international conventions and conferences,” Tiotuico said in a letter to Subic Bay Metropolitan Authority (SBMA) Chairman Roberto Garcia. Dir. Tiotuico said that with the DoT’s choice of Subic as convention capital, this free port will receive accompanying promotional support and back-up activities, including the production and distribution of a regional convention planners guide, technical assistance in tendering bids, as well as support to planning and management of conventions, enabling Subic to become the premier destination for conventions and conferences. Tiotuico said the DoT, under the leadership of Secretary Ramon Jimenez Jr., is aiming to draw an additional one million foreign tourists by the end of 2013 to enable the agency to reach at least 5.5 million arrivals. “It is for this reason that we in the regional office envision to contribute in no small measure towards the achievement of this target by drawing warm bodies into our port of entry through the holding of conventions, conferences and incentive travels and tourism,” he added. “We are determined to focus much of our effort in attracting a special market that can draw big numbers,” Tiotuico also said. He said that since building its own convention center in 2007, the SBMA has been strengthening its bid to become a premier destination for the meetings, incentive travels, conventions and exhibitions (MICE) market. “The SBMA has been vigorously pursuing the tourism market since day one because it has numerous natural attractions to offer, aside from the modern amenities that are uniquely placed inside a peaceful and well-maintained environment. We even have a modern international airport for chartered flights,” Garcia explained. He said the Subic Bay Freeport has a lot of good hotels and housing units, duty-free shops, casinos, restaurants, theme parks, and two malls within its central business district; as well as a marina and yacht club, theme parks, beach resorts, facilities for water sports, cycling and car racing, a golf course, and facilities for hiking, camping, and horse-riding. In welcoming the DoT's choice of Subic as Premier Convention Capital of Central Luzon, Garcia said, "This is truly very timely, as the MICE market continues to expand and tourism arrivals in the country continues to post positive growth rates."